Our mission was to find caterpillars, and we found lots that we did not need to collect. Here are a few of the fun species we came across. 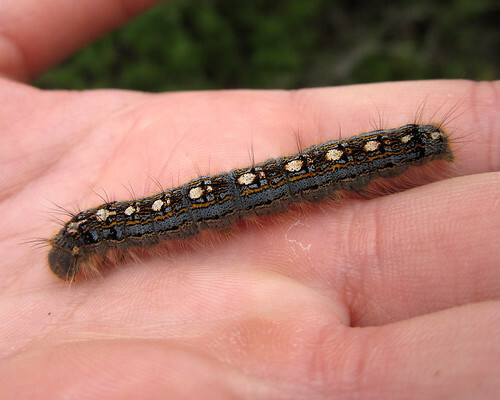 This beautiful velvety beast is the Forest Tent Caterpillar, Malacosoma disstria. They can be damaging when they gather in large numbers, marching through the forest with big appetites (but not making nests like their close relative, the Eastern Tent Caterpillar). 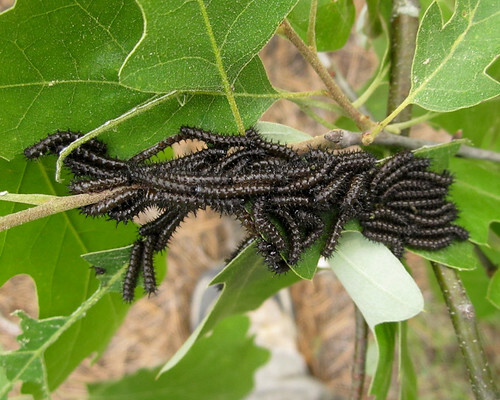 They feed on a variety of woody plant species, ranging from oaks and ashes to blueberries. They are so soft and fuzzy and pretty, it’s a shame they are pests! Here is another gregarious species, the Buckmoth, Hemileuca maia. We found several clumps of them on the scrub oak. We were warned of their stinging spines, so I was careful to keep a safe distance. I am ridiculously sensitive to insect bites and stings, and I did not feel a desire to test these guys out. I thought this caterpillar was so cute – Roland’s Sallow, Psaphida rolandi. What charming little spots and stripes! There were many more, but those were my favorites. Unfortunately I did not get any photos of the Catocala caterpillars we collected, as they were swiftly sequestered into plastic jars to take back to the lab. Perhaps I’ll get a chance to photograph some of them while they are here in our care. 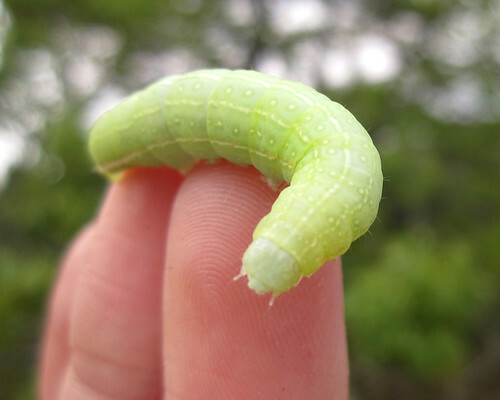 Posted on June 14, 2011, in Invertebrates, Lepidoptera. Bookmark the permalink. 1 Comment. Liu Guangyu from xishuangbanna tropical botanical garden in China.